Yuk, Hyunwoo, et al. 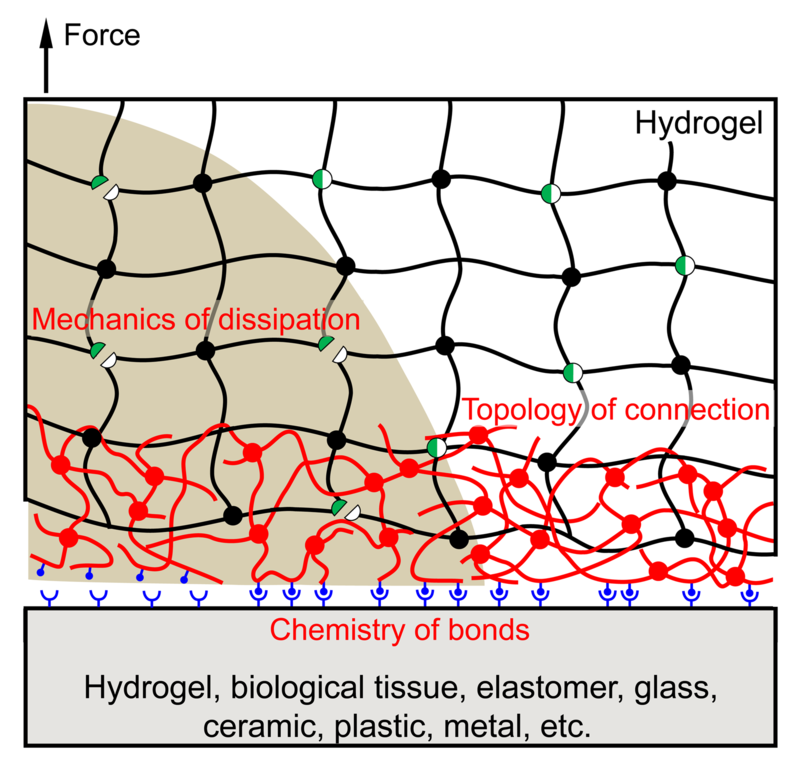 "Tough bonding of hydrogels to diverse non-porous surfaces." Nature materials 15.2 (2016): 190. Yuk, Hyunwoo, et al. 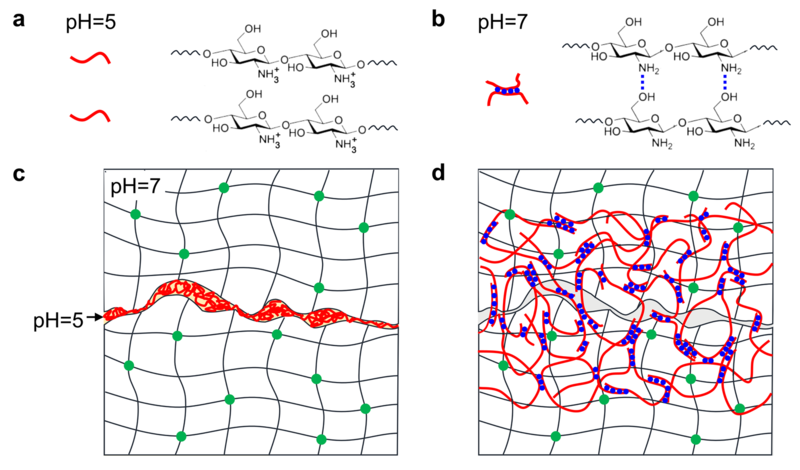 "Skin-inspired hydrogel–elastomer hybrids with robust interfaces and functional microstructures." Nature communications 7 (2016): 12028. Liu, Qihan, et al. 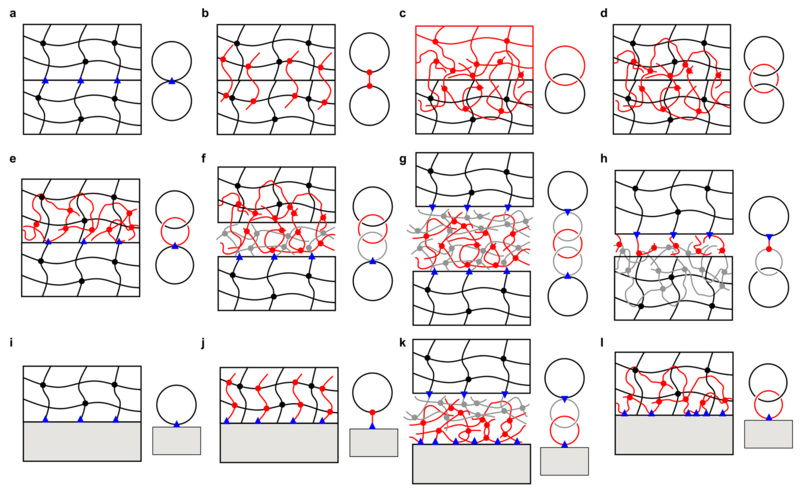 "Bonding dissimilar polymer networks in various manufacturing processes." Nature communications 9.1 (2018): 846. Li, J., et al. "Tough adhesives for diverse wet surfaces." Science 357.6349 (2017): 378-381. Yang, Jiawei, Ruobing Bai, and Zhigang Suo. 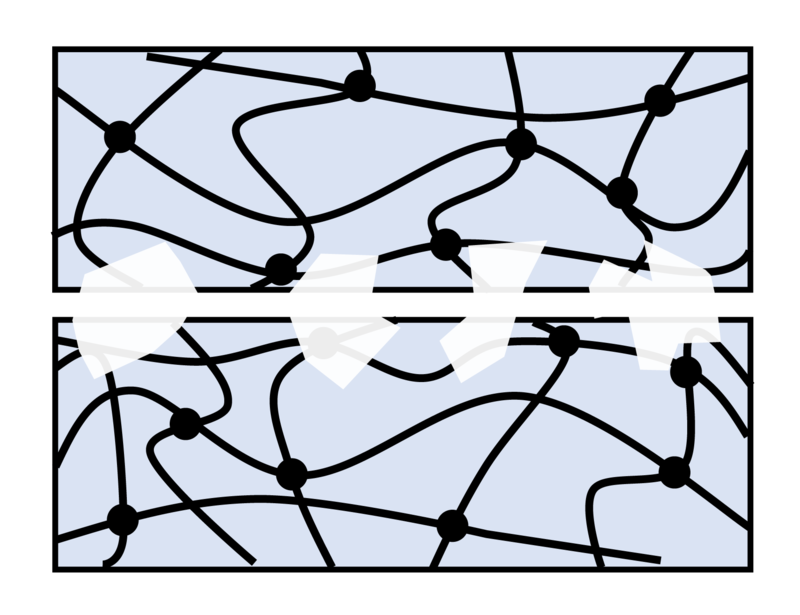 "Topological adhesion of wet materials." Advanced Materials 30.25 (2018): 1800671. Wirthl, Daniela, et al. 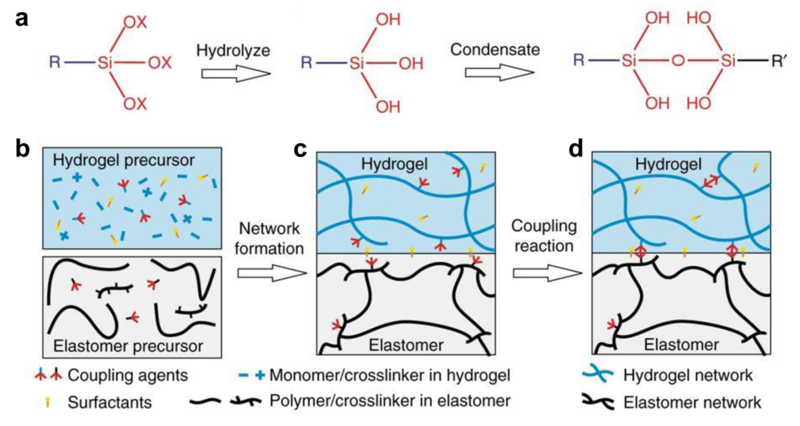 "Instant tough bonding of hydrogels for soft machines and electronics." Science advances 3.6 (2017): e1700053. Chen, Baohong, et al. 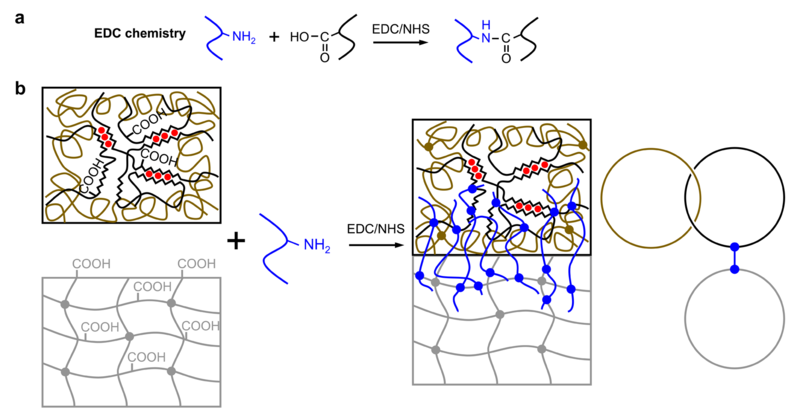 "Molecular staple for strong and stretchable adhesion", in preparation.